19-year-old Eric, arrogant and ultra-violent, is prematurely transferred to the same adult prison facility as his estranged father. 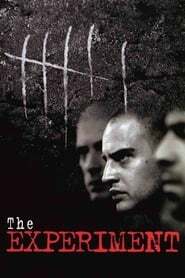 As his explosive temper quickly finds him enemies in both prison authorities and fellow inmates — and his already volatile relationship with his father is pushed past breaking point — Eric is approached by a volunteer psychotherapist, who runs an anger management group for prisoners. Torn between gang politics, prison corruption, and a glimmer of something better, Eric finds himself in a fight for his own life, unsure if his own father is there to protect him or join in punishing him.